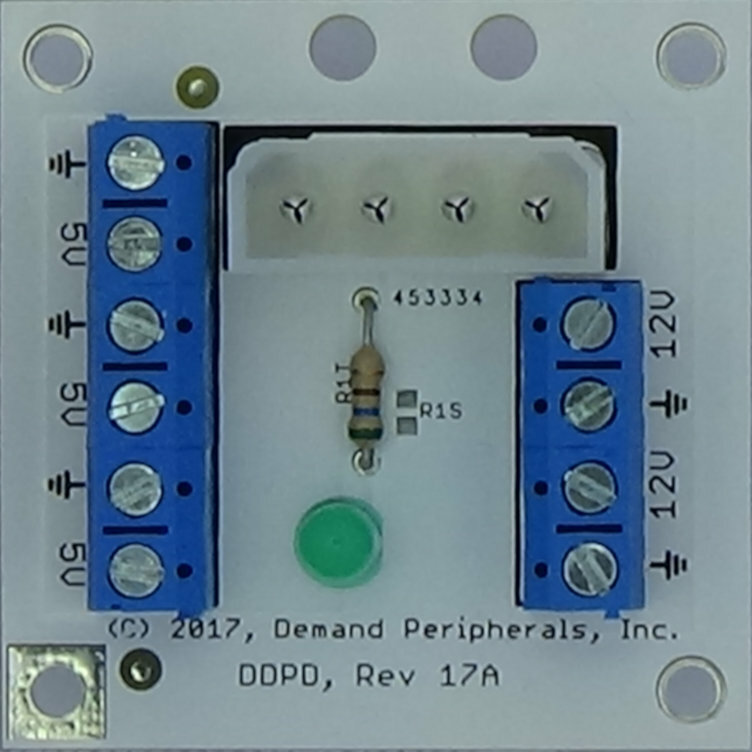 The DDPD power distribution card is a handy break-out card which makes it easy to access the two outputs from a Molex disk drive power connector. The schematic and layout of the DDPD are shown below. 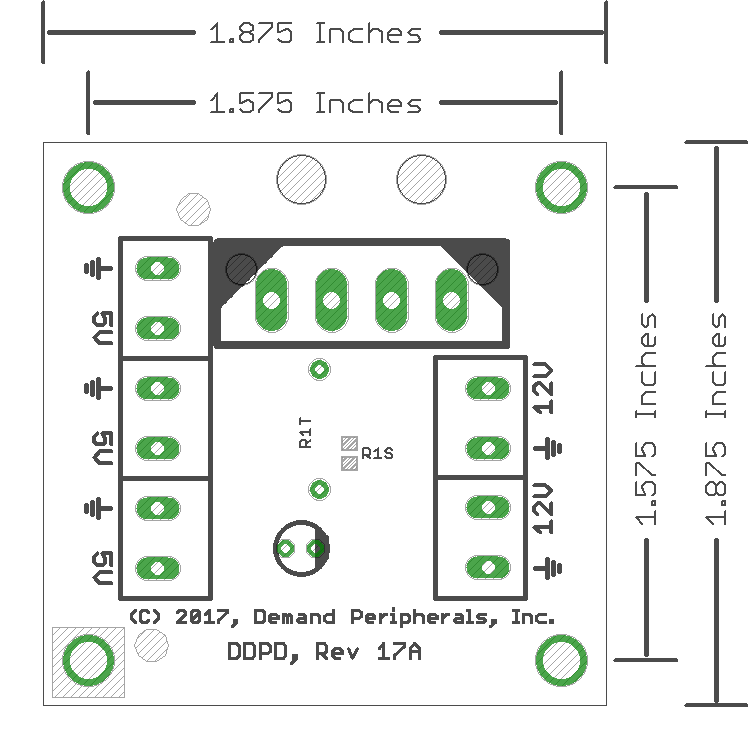 The Eagle schematic and board files are available here: ddpd.sch and ddpd.brd. The bill-of-materials is available here: ddpd.txt.